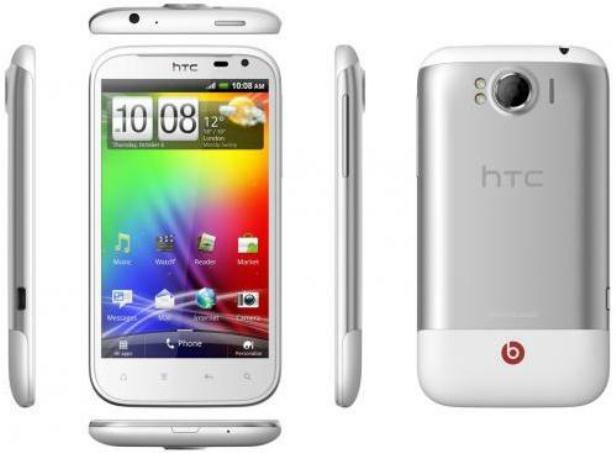 Previously rumored as HRC Runnymede, the HTC Sensation XL X315e is a powerful smartphone released in November 2011. The phone having an 4.7 inch capacitive touchscreen is known to be the big brother of the HTC Sensation XE and functions very well. It is especially appreciated for its two professional cameras that are well-suited for taking selfies, and its high standard technology makes it an amazing device. If you purchased in device around the time of its official launch and you’ve lately been experiencing freezes and errors, you should know that these are normal reactions of an old phone. Not to say that your HTC smartphone is not going to serve you the same as before, but it may need special attention, and this kind of attention could incolve a hard reset. It is a simple and quick procedure that solves all software problems very quickly and lets you enjoy your phone the same as before. Using Android’s Gingerbread as its operating system, the HTC Sensation XL has a Li-Ion 1600 mAh battery, comes with 16 GB capacity of storage and a 1.5 GHz Scorpion processor. In terms of internet connectivity, it is equipped with a Wi-Fi 802 hotspot and a Bluetooth v3.0 with A2DDP and users mentioned that it reaches high speeds of navigation. 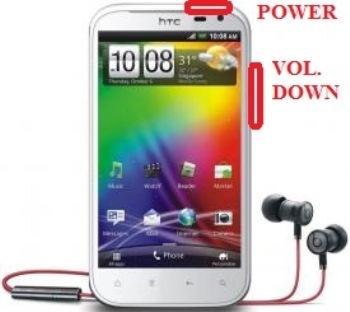 First of all, you may want toperform a soft reset on the HTC Sensation XL first. This is easy to do by simply using the Power button. Press and hold this key for 3 seconds, and then wait for the phone to shut down and press the Power key once again to restart. Alternatively, you can also remove the battery and place it back in after 1-2 minutes. If this didn’t work, you should go for a master reset. As you might already know, restoring any such device to its original software involves a lot of advantages and disadvantages. We consider it important to also tell you about the negative side of the story, which is the fact that all of your data will be erased. To save personal information before proceeding, you should use a computer or cloud to copy the files or download the Phone Copy application to do the same thing. If you’re only keen on saving your messages, SMS Backup is another good option; in case you want to back up your apps, we recommend AstroFile Manager. Open the Storage folder and select Factory Data Reset. Choose Reset Phone, and then Erase Everything when prompted. Your phone will be rebooting; wait for the process to end. Switch the phone off then remove and re-insert the battery. Use the Volume keys to scroll down to the Factory Data Reset and confirm with the Power key.